When nothing but the best will do AND you are serious about search engine positioning, a Premium Custom Blog is the product for you. It has so many features other Blogs don’t have! A Premium Custom Blog is many steps above a Free Blog in its features and benefits. While the Free Blog templates are professional and attractive, a Premium Custom Blog provides a look that is all yours and coordinates with your Web site. It helps build your brand – especially if you carry the same look throughout your marketing materials. A Premium Custom Blog gives you more control over your Blog posts and comments, and most importantly includes built-in Spam fighting features. We coordinate design to your web site. 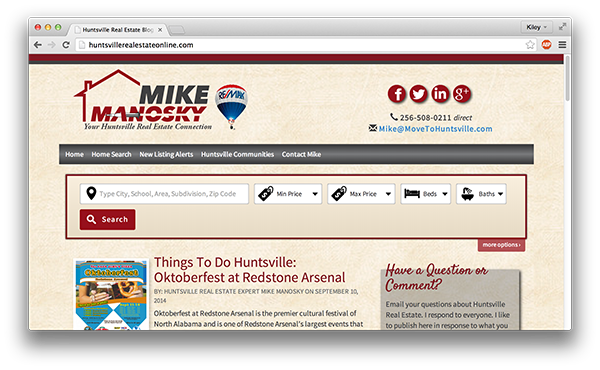 The Premium Custom Blog above huntsvillerealestateonline.com coordinates with the Web site, www.movetohuntsville.com. 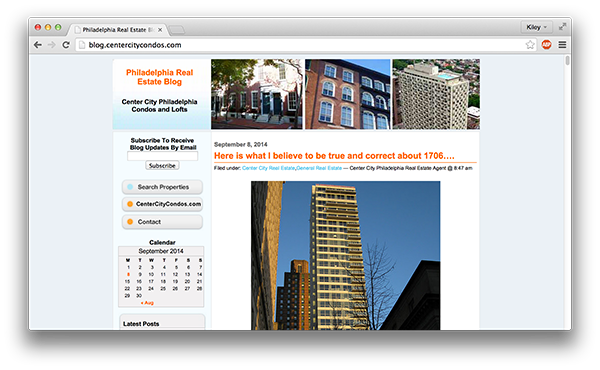 The Premium Custom Blog above blog.centercitycondos.com coordinates with the Web site, www.centercitycondos.com.